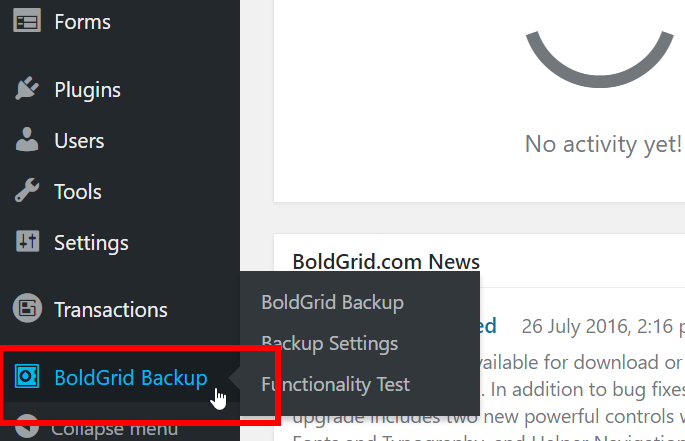 In previous tutorials, we showed you how to install the BoldGrid backup plugin, configure the basic settings, and manually run your first backup of your WordPress site. This tutorial we’ll show you how to restore a backup. Backups should be ran anytime you are making changes to your website. If the update or changes should go awry restoring your website from a backup will reduce potential downtime of your website. 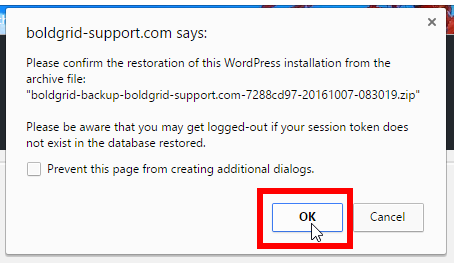 Restoring a backup is a simple process through the plugin and will require you to log into the WordPress Dashboard. As the backup is being restored, the status will display at the bottom of the page. The time is takes to restore the site will depend on multiple factors such as resources available and the size of the backup.